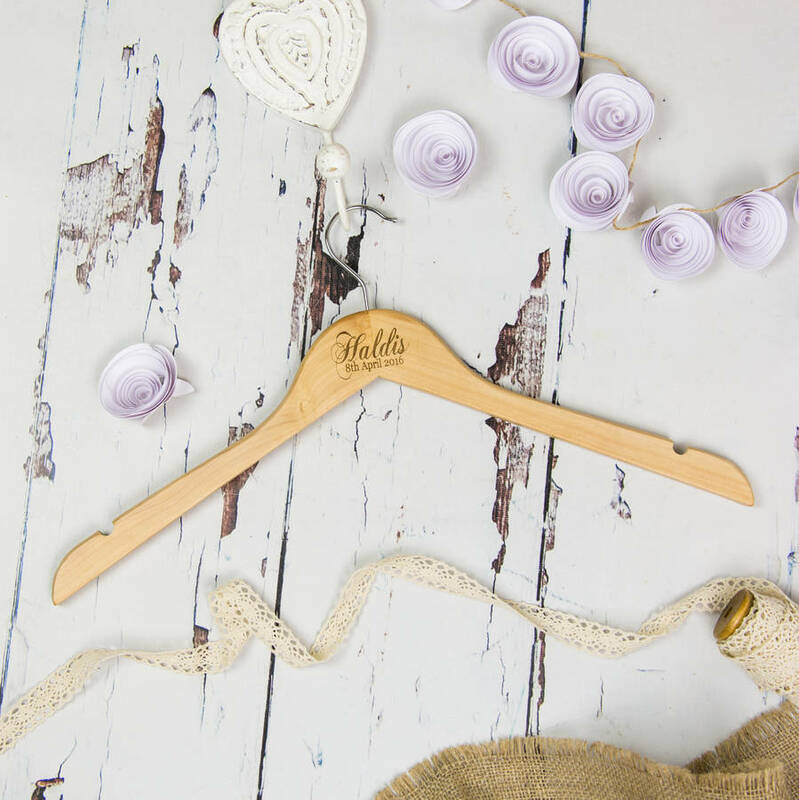 A pair of personalised, laser engraved wooden coat hangers detailing your nearest and dearests names making sure everything is picture perfect for your big day. 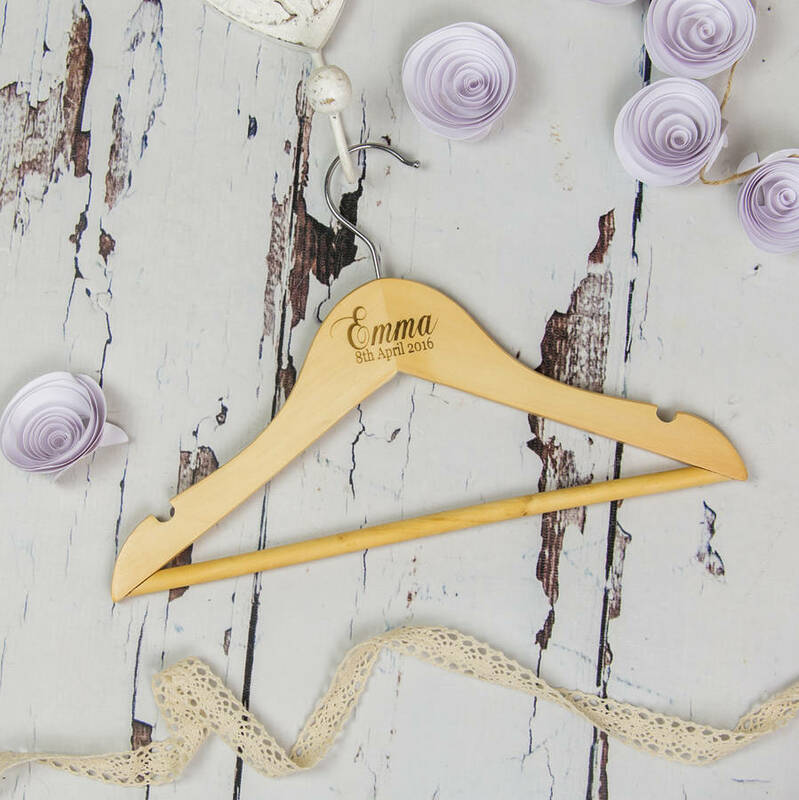 Wedding dresses and bridesmaids dresses can now be hung with style and pride for those first shots from the photographer whilst you are getting ready. 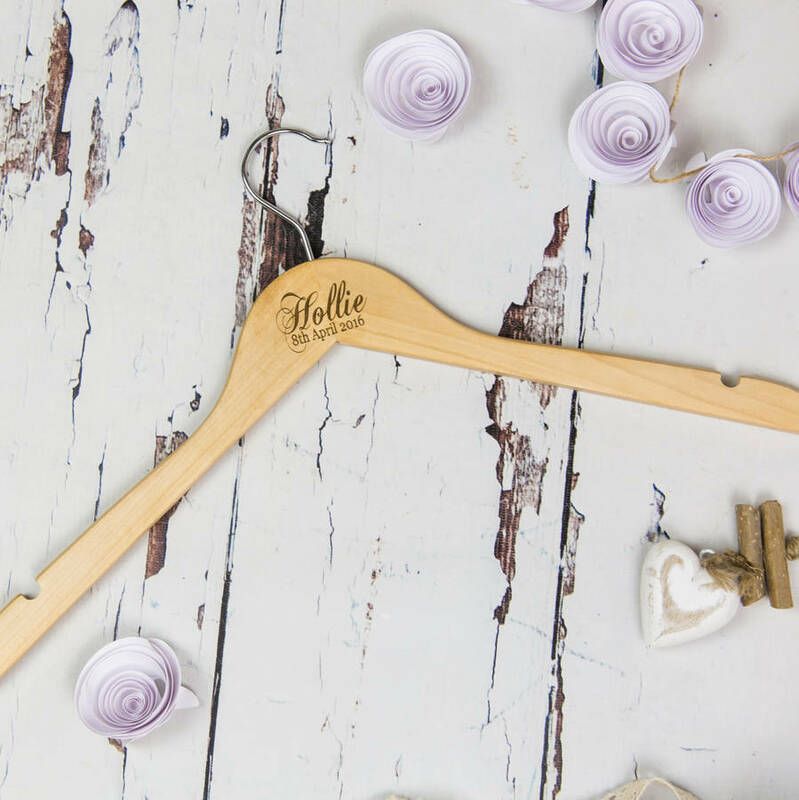 Personalised, laser engraved wooden coat hangers, detailing your nearest and dearest's names and the date of your big day make sure everything is picture perfect for your big day and act as a keepsake for beyond the wedding day. Available to purchase as a pair, and then add up to another 7 wedding hangers per delivery, in both adult and childrens sizes your day will be set up with all the wedding style and finishing touches you have been dreaming of. All you need to do is complete the details in the personalisation boxes and select the quantity and sizes you want. You can also choose to add the date as well as the name, but this is optional. 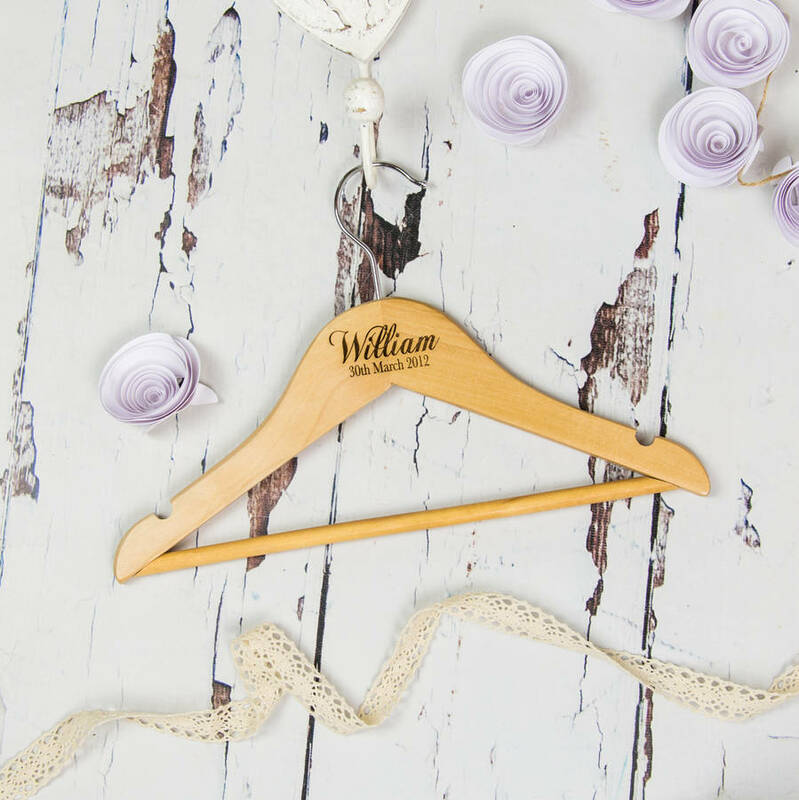 Please note that the same date is added to all hangers within the order. 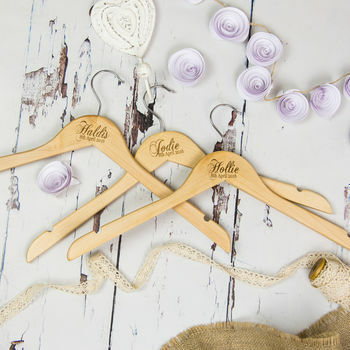 Wooden adult and childrens hangers. The adult hangers are without a bottom bar, and the childrens ones are with.